Charge Your Car is a network of EV charge points all over the UK. This includes Energise, GMEV, Source West and ChargePlace Scotland. Charge Your Car is what is called a 'back office provider'; we deliver access methods for EV drivers and gather the charging data for charge point owners. We pass on fault reports made to us, to the owner or their maintenance provider and keep the network map up to date. For EV drivers, CYC makes it simpler and more convenient to travel across the UK. The CYC Access Card provides access to all charge points on the Charge Your Car network, whilst the CYC app lets EV drivers find and use charge points. To use the network, EV drivers simply register with a direct debit to their bank account, which connects to their CYC Access Card and app. The CYC telephone help centre provides support and advice. Register online with ChargeYourCar (CYC) by filling-in the driver sign-up form. 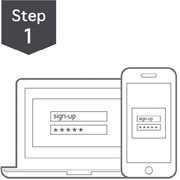 Once this is complete, you can sign-in to your CYC portal and also use the same details to sign-in to the CYC mobile website. 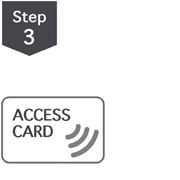 Before you can order and use an Access Card you will need to sign-in to your CYC portal to create a direct debit on your bank account, which connects to your CYC Access Card and app. 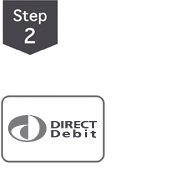 Once you have registered and created your direct debit, you can order an RFID Access Card, allowing you to access all CYC charge points. Initial cost = £20 per annum. You are now ready to start using the CYC network. If you need any assistance when charging call our Helpline on 0141 648 0750. *Direct Debits are processsed through GoCardless, our secure payment provider . Please read the privacy notice. CYC operates by providing a single national charge point management system to which charge point owners can connect charge points, making the posts visible to all EV drivers via the CYC live status map. CYC enables charge point owners to set the tariff for each charge point, collect payment for usage, and provides alerts in the event of a fault. Charge Your Car connects charge point networks and owners with EV drivers, promoting your charge points to EV drivers across the UK. 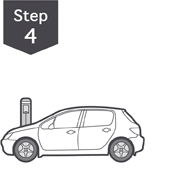 Your charge points will be visible to and accessible by all EV drivers as part of the national recharging network. Your charge points are promoted by being listed on the charge point map on website and the Charge Your Car app. You can set the tariff for each of your charge points on the network. We collect any revenue from your charge points on your behalf. In the event of a fault requiring maintenance or repair, the CYC helpline will contact your designated maintenance team. Access usage data, status reports and energy consumption and change access and tariffs via your own personalised pages of the website. To join the Charge Your Car network and get instant access to a growing number of plug-in electric vehicle drivers throughout the UK, you will need a charge point that is CYC Approved as OCPP compliant. OCPP is an open protocol between charging stations and a central charge point management system (CPMS). It allows any compliant charging station from any charge point manufacturer to connect to the network and for this reason has been chosen by Charge Your Car to create the UK's first 'open' network, accessible by all charge point owners, all network operators, and all drivers of plug-in electric vehicles. CYC can assist in the management of your EV fleet by providing access to charging data, a convenient payment method for charging sessions and multiple log-ons to manage your account.